Published by Pete on December 1, 2011 in Editorial and Snippets. Amazon have launched their latest Kindle Stores, in Italy and Spain. Alnpete Press titles are available in both the new Italian and Spanish Kindle Stores, and of course still available in the French, German, UK and US Kindle Stores. Closed Tags: Amazon, Italy, Kindle, Spain. Published by Pete on October 26, 2011 in Editorial. In recently published research by the Media Convergence Research Unit of Johannes Gutenberg University in Mainz, the scepticism of readers towards eBooks was examined. The study used two sample groups, young readers and elderly readers, asking them to read texts on paper, a Kindle and an iPad. The subjective response of most participants tested in the study was that they preferred reading from paper, finding it more comfortable. But the study found no actual difference in reading performance between the printed page and an e-reader, “dispelling the widespread misconception that reading from a screen has negative effects” explained Professor Dr. Stephan Füssel who instigated the study. Closed Tags: digital, eBook, Germany, iPad, Kindle, print. Published by Pete on October 13, 2011 in Editorial and Snippets. Closed Tags: Alnpete Press, Amazon, France, Kindle. Closed Tags: Alnpete Press, eBook, ePub, WH Smith. We are pleased to announce that the text of Alnpete Press titles are now searchable online, using the search facility provided by Google as part of the Google Books programme. Closed Tags: Alnpete Press, Google, Google Books, search. We are pleased to announce that Alnpete Press titles are now in the Google ebookstore for purchase as eBooks in ePub format. Closed Tags: Alnpete Press, eBook, Google. Published by Pete on August 19, 2011 in Editorial. 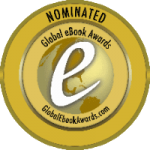 Alison’s book Abiding Evil has been chosen as a finalist in the Global eBook Awards. The awards ceremony is on Saturday 20th August in Santa Barbara in California. 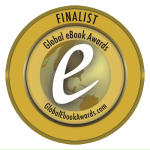 Closed Tags: Abiding Evil, Alison Buck, award, finalist, global ebook award. Published by Pete on July 1, 2011 in Editorial. Three of our titles were nominated for the Global eBook Awards. Judging is soon due to begin and there is still time for you to cast a vote on the awards website. Each of them is in a different category so you can vote for all of them if you wish. It only takes a few seconds! Closed Tags: Abiding Evil, Alison Buck, award, global ebook award. Published by Pete on June 29, 2011 in Editorial. It’s been an exciting time for us and our authors here at Alnpete Press, with the move into the world of eBooks being a great success. Alison Buck’s spooky horror novel Abiding Evil quickly went to the top of both Amazon UK and Kobobooks horror bestseller lists, it has also been No. 1 in Ghosts on both sites for ages. Sales in the UK, as well as the US, Canada, Australia, New Zealand and elsewhere have been strong on Kobobooks, but sales outside the UK have been negligible on Amazon. There is a distinct and very palpable antagonism to small independent publishers / authors, especially if they are non-US, (to the point of extreme rudeness in many cases) on the amazon.com customer threads which is clearly reflected in the sales figures. Closed Tags: Abiding Evil, Alison Buck, Amazon, eBook, Kindle, Kobo, UK, US. Pete is in charge of production, technology and logistics. Being somewhat shy, he prefers to hide behind the scenes rather than talk to people. He's happy sending emails though.